It is dangerous to be sincere unless you are also stupid.” George Bernard Shaw. 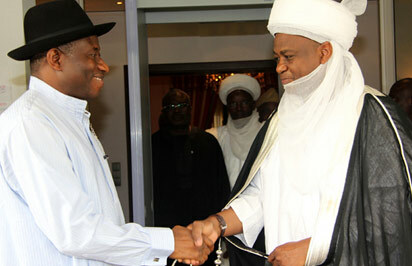 IN the space of two days, President Goodluck Jonathan and Sultan of Sokoto, Abubakar Saad, raised alarm over the damage which elders cause by the manner they comment on political issues. The President spoke during the Armed Forces Remembrance Day Church Service in Abuja. “Does a man not know if he has pepper in his eyes? 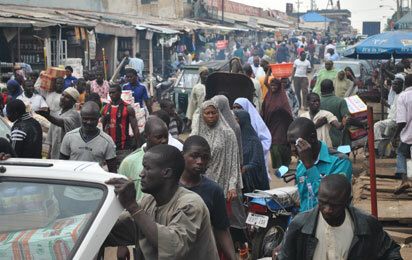 If we forget today, how shall we remember tomorrow?” Nigerian Proverb. A beginning, or an end? 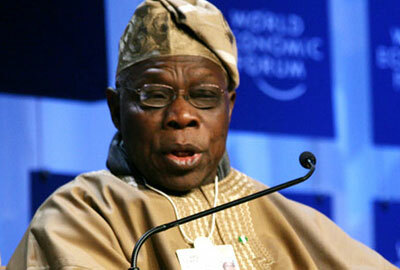 PRESIDENT GOODLUCK JONATHAN has finally responded to President Olusegun Obasanjo’s letter. The nation will pour over its language, nuance and content, to see whether it represents an end or a beginning of a relationship between two of the most powerful people in Nigeria today. There is one point which will not be disputed. 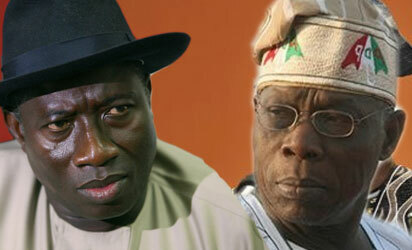 PRESIDENT Obasanjo’s poison letter to President Jonathan laid everything bare, except the full intent behind its title, “Before it is too late.” On the face of it, the title suggests that Obasanjo’s blistering survey of all the ills of Jonathan’s personality and administration holds out the hope that the President can fix himself and his administration in a manner that will save the nation from a looming disaster. 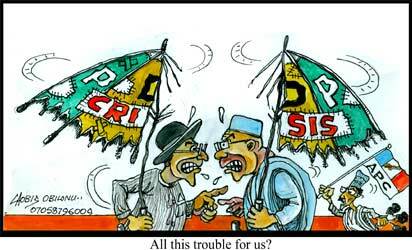 Following the meeting with party leaders and PDP governors as well as two former PDP governors who re-affirmed their full and final defection, President Goodluck Jonathan was reported to have summoned an emergency meeting of top guns of the party on Monday night. 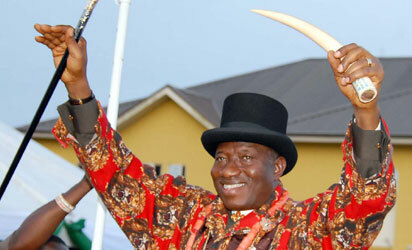 There is evidence around that President Goodluck Jonathan is toughing up his mien. He is not heeding the caution that you stop digging when you are in a deep hole. This can be explained by a number of possible reasons. One is poor appreciation of the circumstances in which he takes decisions. 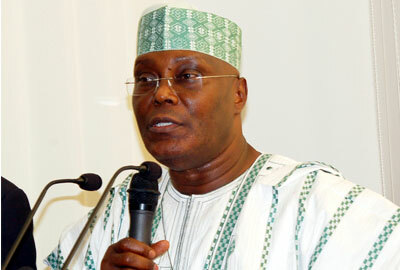 Former Vice President Atiku Abubakar just turned 67. Naturally, friends and well-wishers, employees and political associates rolled out the drums and took volumes of pages in newspapers to remind the nation that he is still in the market, calling on Nigerians to come forward for service. BY the time you read this, INEC would have returned the APGA candidate as winner in the Anambra gubernatorial elections held on Saturday, November 16. 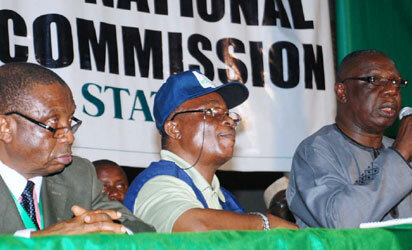 The APC, PDP and Labour Party candidates would have rejected the results outrightly. 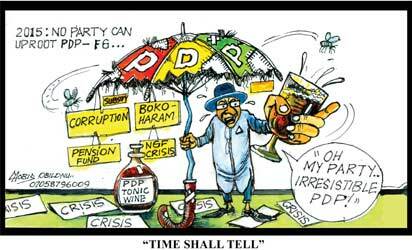 By the end of this week, the nation would be regaled with another twist in the PDP leadership saga. As I write, the nPDP faction is strategising for the next battle, while the President Goodluck Jonathan faction is digging in for a final battle. 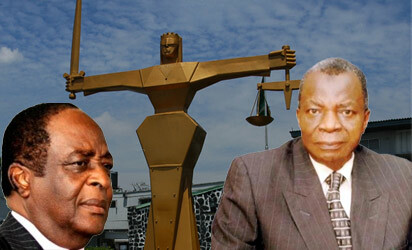 This bruising, all-consuming fight is unlikely to end without massive losses on all sides. FORMER Chief Justice Muhammadu Lawal Uwais is not a man given to outbursts or postures that should attract more than the most minimal of attention to himself. He has been very selective in his public appearances and comments and although he has been active in support of many laudable causes, he has steered clear of controversial issues. This could not have been easy.